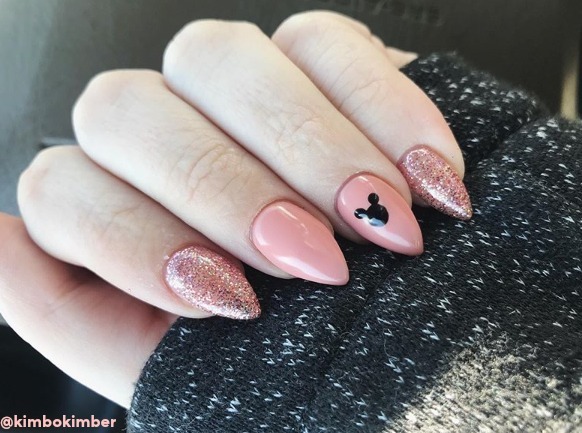 We collected the nicest Mick Mouse nails. If you need Micky Mouse nails ideas, I bet you'll find something useful here. No matter how old you are – everyone loves Mickey Mouse! the most successful Disney carton image ever hasn’t said the last word yet and is making a huge comeback. 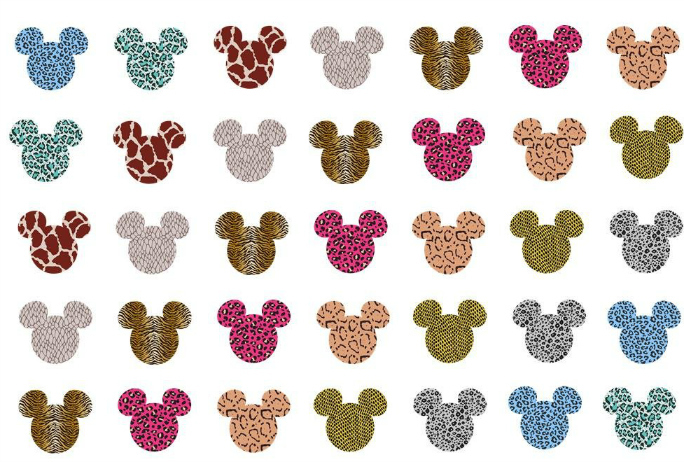 These days, Micky Mouse is seen everywhere, from accessories to pajamas, and even… nails. And, because we love nails so much, we collected here the nicest Mick Mouse nails. 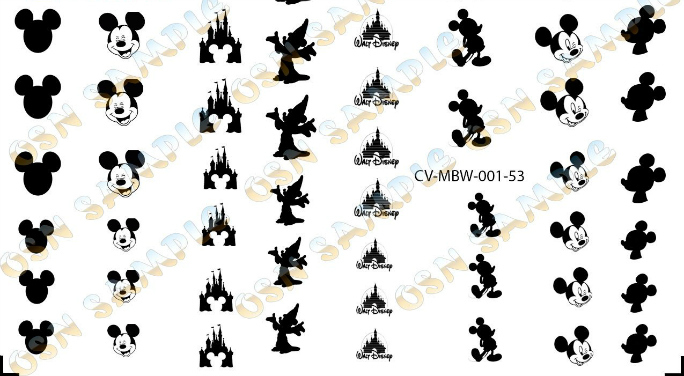 If you need Micky Mouse nail art designs and ideas, I bet you’ll find something useful here. 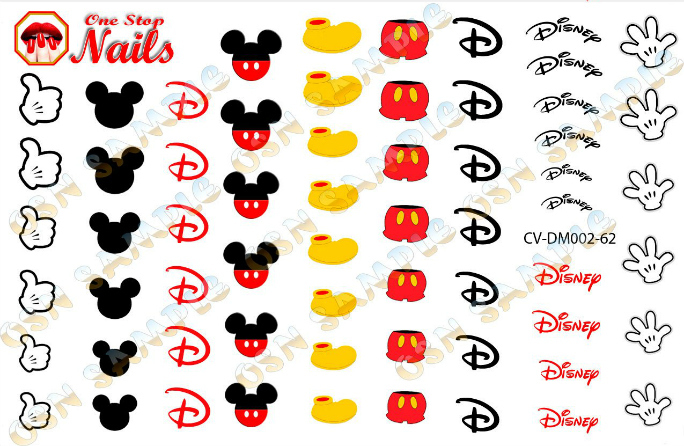 How to Paint Mickey Mouse Nail Art? 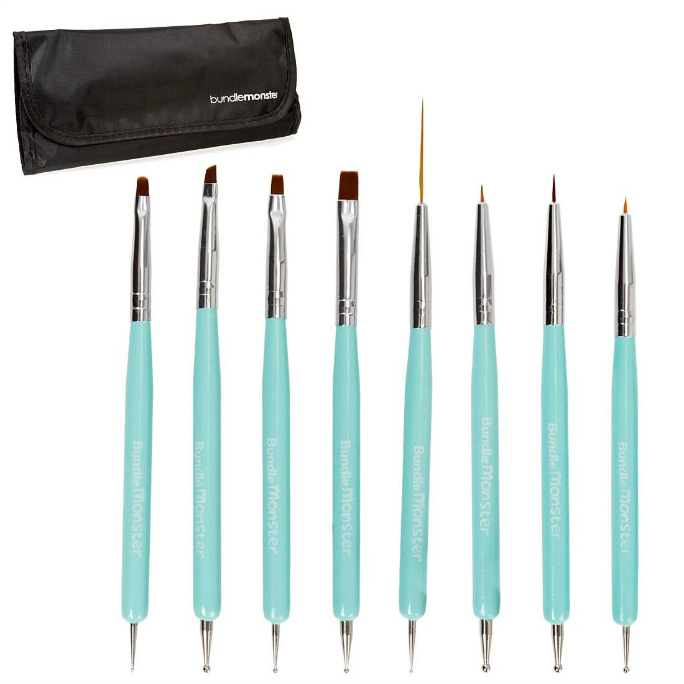 If you were blessed with good hands, you can practice painting Mickey Mouse Head and ears on your nails, using just a black varnish and a nail art brush (I love this set of brushes), which is thinner than the brush you get with the black nail polish. Basically, it’s just 3 black dots (2 of the same size – for the ears, and one larger for the head). 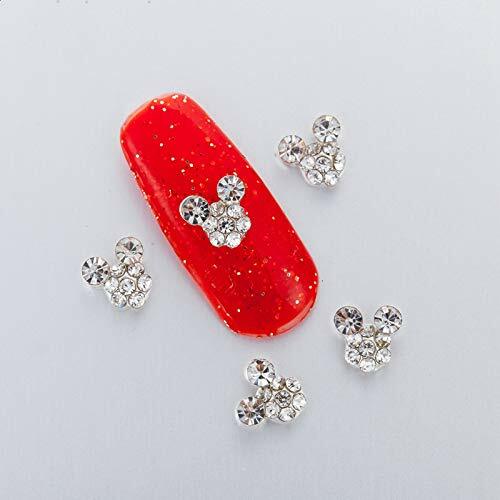 But if for you, painting belongs to the Renaissance, you can skip the painting idea and order one of these amazing Mickey Mouse nail stickers and glitters. I just KNOW you’re going to add this to your nails routine, because it’s super easy, and you will probably earn a couple of WOW’s from your friends, and complete strangers (not in a creepy way…). Huge Disney fan? Read about 6 vegan desserts to try in Disneyland!